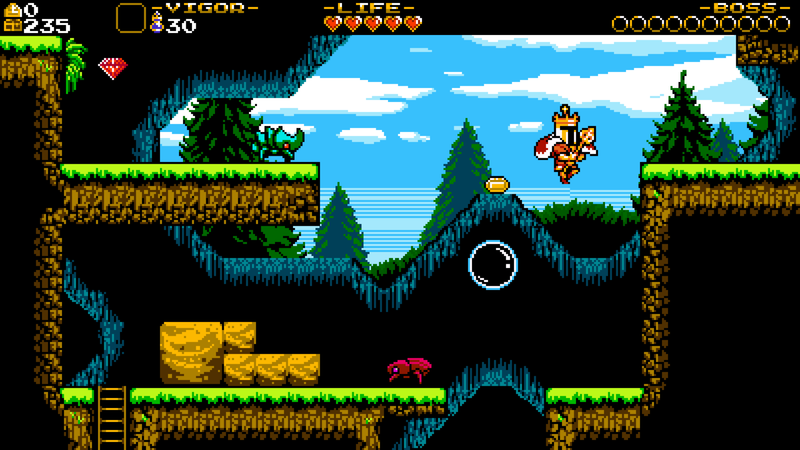 Shovel Knight: King of Cards is a new action adventure platformer game developed by ‘Yacht Club Games‘. It is coming out the 9th of April 2019 on the Xbox One, Nintendo Switch, PS4, PS Vita, 3DS and PC. This is the final campaign in the Shovel Knight: treasure trove saga. Let’s take a look. Some gamers should know what Shovel Knight is about by now. You run around, collect treasure and attack with shovels but there is some changes here. 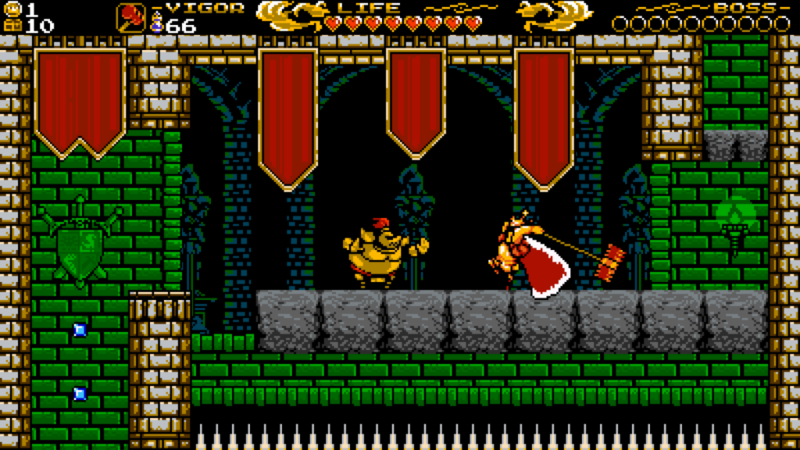 In Shovel Knight: King of Cards Players control King knight. Now king knight has a different fighting style so he isn’t a clone or skin character. Basically king knight is on a journey to take on and best the current three kings who rule over the land. This isn’t a simple walk up the road as king knight will need to make his way through 4 new worlds. There are more than 30 courses too. Players better be prepared. King knight has a signature bash attack for destroying his enemies and a spinning strike. King knight is definitely a physical fighter. Shovel Knight: King of Cards has lots of in-game stuff. There are lots of abilities, weapons, followers and armours for players to find, collect and use to your advantage and become a powerful ruler. What else is new? Shovel Knight: King of Cards has card battles (big surprise) which are not physical battles but more mental ones. Players have to be strategic and clever to defeat their opponents and come our victorious. There are challenge stages, only for those who want to push themselves. There are challenges that let you take on the bosses again in a rematch. There are also platforming challenges too. Shovel Knight: King of Cards is taking the retro approach. As you can see, the graphics are 8-bit style which we are sure older fans would definitely appreciate. Gamers aren’t done yet as there is a new game+ mode. This will give the players new challenges and there are more secrets in the world. So those who like to complete and get 100% will need to beat Shovel Knight: King of Cards twice. There isn’t really much we can say about Shovel Knight: King of Cards. It’s a shovel knights game, you are either a fan or not. We checked out some Shovel Knight: King of Cards gameplay and it does look retro but definitely advanced. The music is very good and fits what’s happening on the screen. The graphics are definitely 8 bit styled and looks good. Controls seem simple and the action is simple too. Jump on enemies to destroy them. Spin and jump to destroy projectiles, bash through blocks, take on other knights and explore these worlds. There are hidden areas, hidden behind breakable walls. Some areas can only be reached by timing your jumps on projectiles to reach the higher area.